Another easier one. Where in Seattle is this? The picture from last week shows the memorial to Seattle firefighters who have died in the line of duty. 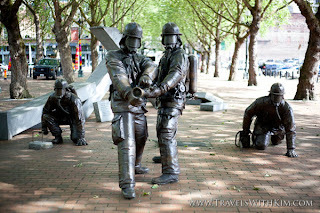 The design, Fallen Firefighters, by artist Hai Ying Wu depicts 4 life-sized firefighters, and is located in Occidental Park in Seattle's Pioneer Square area. The memorial was erected originally in the aftermath of the Pang warehouse fire in the International District that killed 4 firefighters in January 1995, but has since come to memorialize all 31 firefighters from the Seattle Fire Department who have died in the line of duty since its founding in 1889. 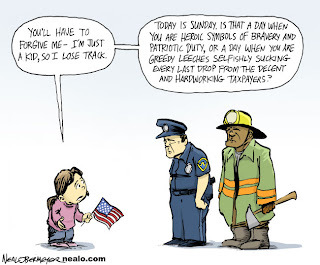 Can we be adults about this?